So over twenty years ago - oh my it hurts just to type that - I was pregnant with my first child. Who I had been told was a girl. So I picked a girl name - Jacey. And had a girl baby shower. Oh my goodness all the girly things. But I kept having dreams - see now I had been sure this child was a boy. So every night I would dream about my little boy. So I only took the tags off of ONE outfit. One my friends. It was a tiny pink sleeper with a sheep on the front. Was the sheep some sort of sign about my future business? Who knows. But then the baby came and it was NOT a girl. I had to have an emergency c-section and the first glimpse I caught of my baby was the sight of pee shooting straight up in the air. That ain’t a girl thing y’all. The nice thing about it all is that I exchanged all those beautiful girl things for store credit and ended up getting a full wardrobe for my Jeremy plus a lot of necessities I still needed. And when I got pregnant with my second child in short order, that child was going to be Jacey. But nope. I got me a Justin. And I wouldn’t trade either boy for anything in the world, but unless I could convince my sons to name my future granddaughter Jacey that name was lost. And then came this crazy took too long but boy am I proud of it Year of Stripes project. And I named all the designs with the letter of the month they were supposed to come out in. And finally for the design that was supposed to be in January I had the perfect name - Jacey! 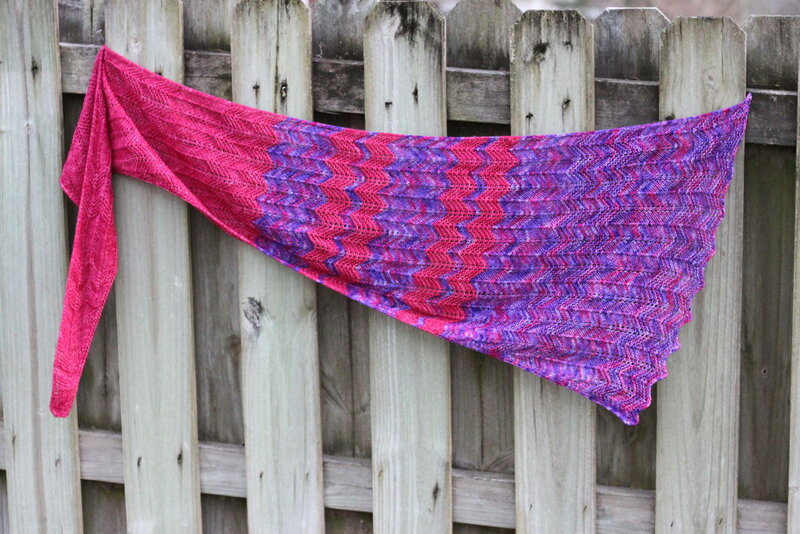 My friend Brenda had provided the yarn for this design and it was gorgeous! Her End of the Row Yarns are hand-dyed in Maryland and she has a beautiful eye for color. So I came up with a sideways chevron design that worked just right for the yarn and I feel fit the name perfectly. The hot pink and strong lines totally fit with the little girl I thought I was having. Jacey is now available for individual purchase - slowly but surely all of the patterns from the Year of Stripes will be. Or you can buy the whole shebang for a great price - 14 patterns for $29. 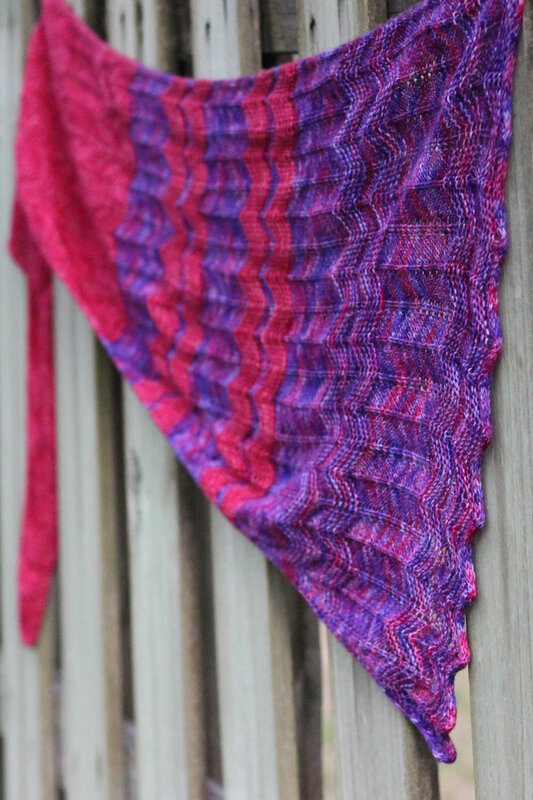 So grab two of your favorite colors and make your own Jacey - the chevron stripes work magically with crazy variegated colors so you can’t go wrong. Wanna make sure you don’t miss any sales or good things coming from me and Craftstar Studios? Sign up for the newsletter! Plus you get a free hat & mitt pattern set! Local Yarn Store Day Kits!